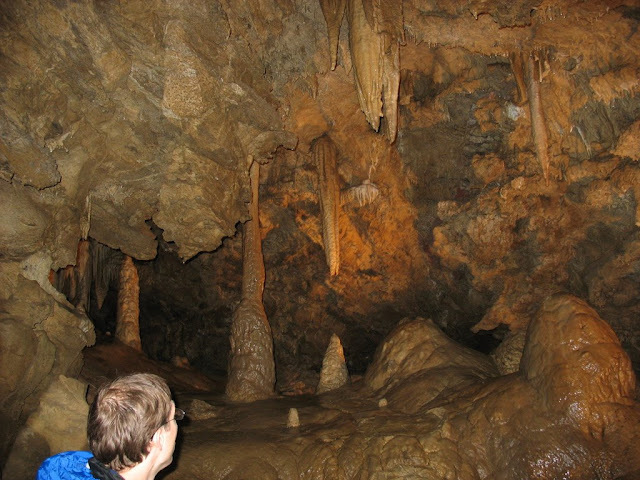 We planned Oregon Caves National Monument as one of our stops during our return trip from Seattle and Portland. 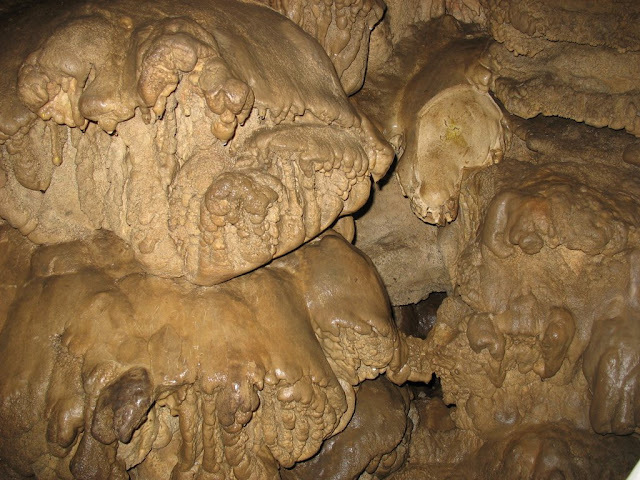 Oregon Caves is not open during the winter season. 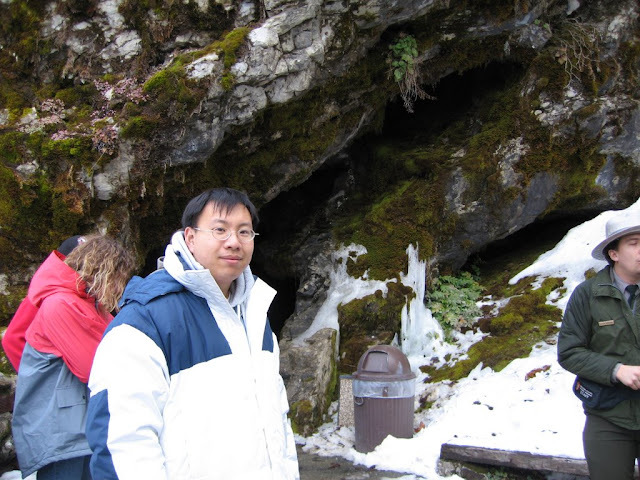 More exactly, the cave tours are not open during winters, so if you visit them, it sort of defeats the purpose. 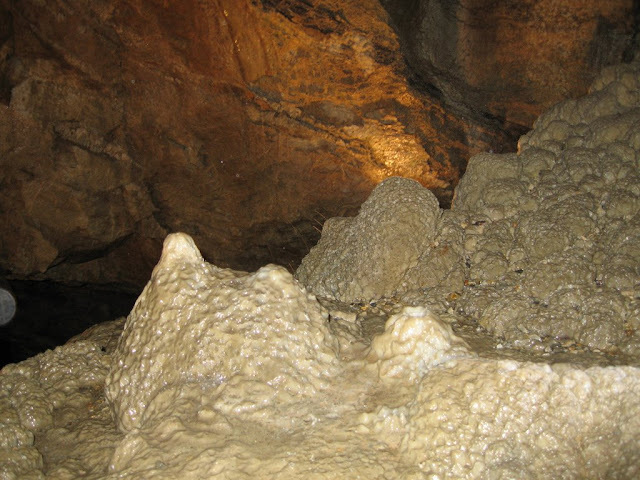 Anyways, it just so happened that Oregon Caves started opening 3/25 that year, so we were out of luck visiting it earlier anyways. 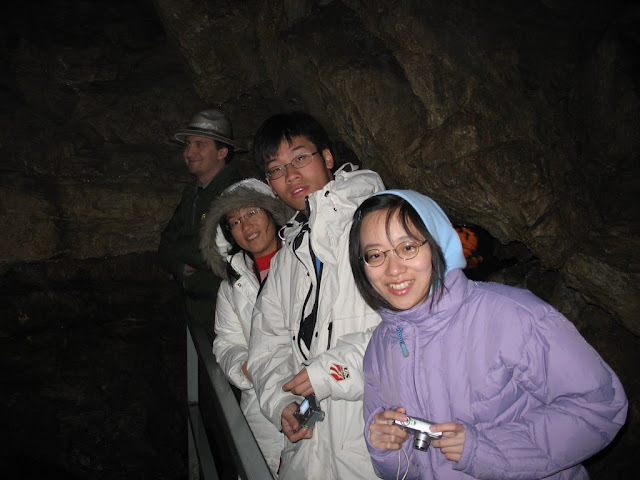 I don't recall when or where was the last time I visited a cave formation, but it was somewhere in Taiwan during my adolescent years when I was growing up there. 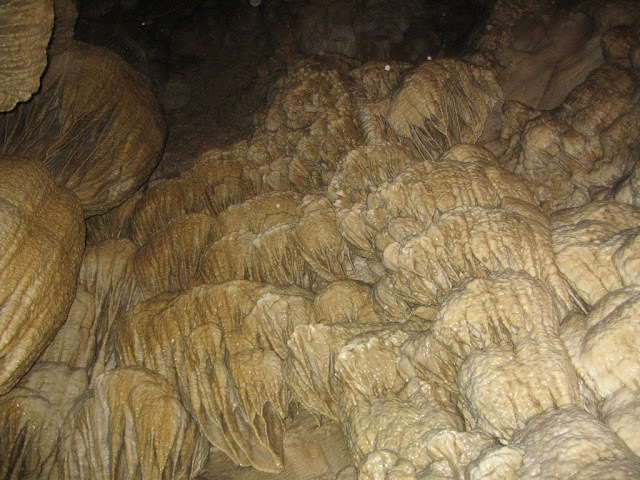 Being a newbie to national parks, I have not been to Carlsbad Caverns, Mammoth Cave, or Wind Cave. Therefore, this was easily the best stop of our 2006 Spring Break trip. Having bought an annual National Park pass ($40 at the time) at the onset of our road trip, this stop was definitely a steal in my mind. So the way the story goes is that in 1874, local man Elijah Davidson and his dog Bruno were hunting a bear when the dog chased the bear into the cave. Elijah followed and went in looking for his dog. Realizing he was now totally in the dark and lost, Elijah was bright enough to follow the running water to find his way back. Word soon spread, and it later became a popular attraction for people around the area. Due to increased vandalism, the National Park Service soon took over and protected the place in order to let future generations still see the beauty and enchantment of the place. 3/25/06 Mount Rainier National Park.